Recovery Company in Birmingham and get restored FAST! Service Restoration of Alabama has crews on call 24 hours a day, 7 days a week. We know that storm damage occurs whenever, wherever. That is why we have an emergency response line and can be to your location within 30 minutes of your call. With offices all over Alabama, we are equipped to handle any type of storm damage request you may have. From securing your home, tarping your roof, stabilizing your structure, or removing debris, we are the company to call. Storm damage can take many forms and there can be many different variables involved with performing the cleanup. Whether a tree has fallen onto your house or you need your windows boarded up, we are the company to call. With a reputation of being the leading restoration firm in Alabama, we won’t let you down! We are ready to deal with any type of damage that is caused from high winds, heavy rain, or flying debris immediately. 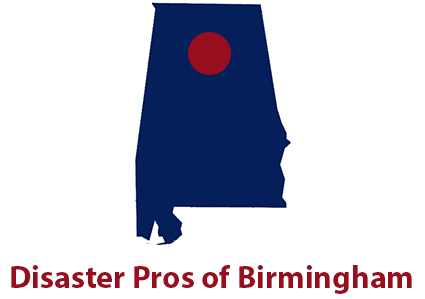 Service Restoration of Alabama is fully licensed, bonded and insured. We are the industry experts when it comes to restoring properties after storm damage. If you are looking for an affordable solution, look no further! We will set you up with an individualized plan for the restoration of your home, and will work with you every step of the way to ensure that you are completely satisfied with the services we provide you with. Call us today if you need any of the above services!